For many years now, Indian football's main debating point has been about creating an environment which can help the two premier leagues co-survive. All India Football Federation has made some temporary adjustments to satisfy the demands of both the leagues and their sponsors. The 2017-18 season saw both the leagues co-operate simultaneously for the first time with domestic league matches scheduled from October to March. 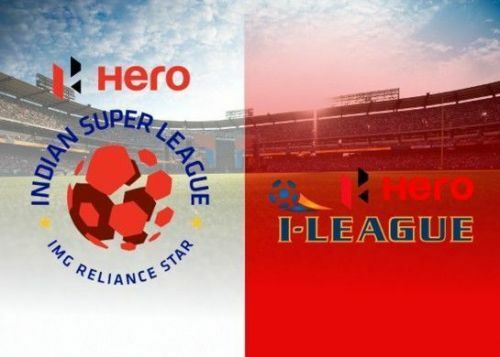 AIFF was seen to massively favour the Indian Super League which got all the prime time (7:30 pm) slots while I-League had to settle for 2 pm and 5 pm slots. With Bengaluru FC switching to ISL before the start of the 2017-18 season, popular Indian footballers like Sunil Chhetri, CK Vineeth and Udanta Singh also decided to be a part of the cash-rich ISL. Most of the senior Indian national team players followed suit leaving the burden of generating new young talent on the shoulders of the I-League. With a gulf of quality growing between both the leagues, the fans would be expecting ISL to give much better matches but that has not been the case for the last few seasons. For the past few years, the I-League title race has boiled down to the last matchday. While the I-League fans have witnessed some nail-biters, the ISL has disappointed its fans in this respect. Take the 2016 season of ISL for instance. 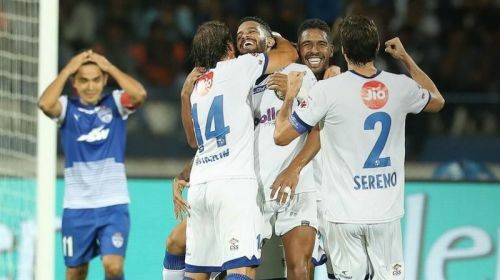 Fourth-placed ATK defeated Kerala Blasters in the final which first-placed Mumbai City FC was not even a part of due to a semi-final defeat to ATK leaving the league table of no importance in the end. 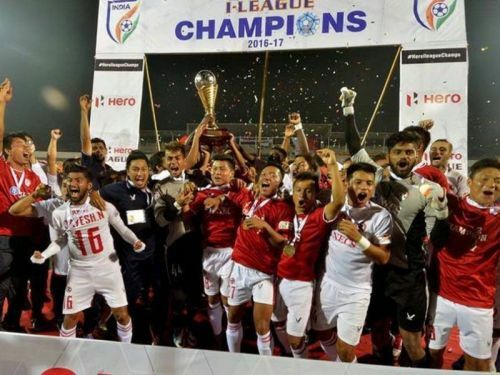 The 2016-17 I-League season was a much more satisfying experience for the fans as the underdogs Aizawl F.C. completed a fairytale title chase as they were successful in beating Kolkata giants Mohun Bagan and East Bengal to the league trophy. On the last matchday, Khalid Jamil's men required a point in the NorthEast derby if Mohun Bagan managed to win their match against Chennai City. A 10-man Mohun Bagan beat Chennai City 2-1 but Aizawl knicked a point to win the league title on the last day. The 2017-18 I-League season was also a shock in terms of the champions with Minerva Punjab bagging the league trophy on the last day of the season. Again, its counterpart ISL disappointed in this regard with table toppers Bengaluru FC, ahead of the second-placed Chennaiyin FC by a massive 8 points ended up as losers in the final. Of late, it has also been noticed that ISL managers just set-up their teams defensively to get a draw in the big matches leaving the paying spectators disappointed with the boring scoreless draws, no race for the first position and ultimately, undeserving teams winning the league trophy. Indian national football team captain Sunil Chhetri has suggested a solution for this as he said "I think the team that stays consistent throughout the season, deserves to be known as the Champions of India. I perfectly understand that the semi-Final stages are exciting and great for the fans but at least the AFC Slots should go to the Table-Toppers at the end of the season." Giving the AFC Cup playoff spots to the team finishing in the 1st position in the ISL can re-ignite the battle for the top spot and can see an end to the unnecessary, uneventful 0-0 draws. Moreover, the ISL chiefs can look at the Indian Premier League and change the style of the knockouts to qualifiers and eliminators rather than having the traditional semi-finals. According to this format, the teams finishing 1st and 2nd would play a virtual semi-final known as 'Qualifier 1'. The teams finishing 3rd and 4th would battle it out in 'The Eliminator', with the winner of the eliminator playing the losing side of 'Qualifier 1' in the second semi-final known as 'Qualifier 2'. We are in for another interesting I-League title race as Chennai City top the table currently while Mohun Bagan and East Bengal are in the lower halves of the table while Bengaluru FC are four points clear at the top of the ISL points table with one match in hand as well.